Now on Kickstarter!Now on Kickstarter! And somewhere in the town, their best friend was just murdered. 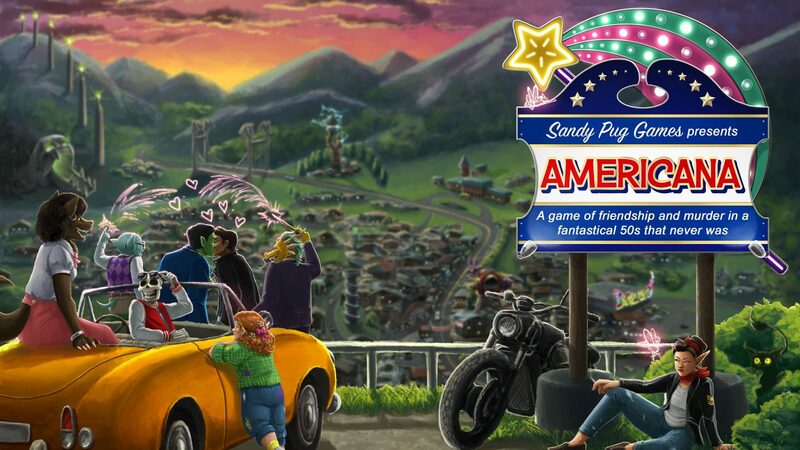 Americana is a new TTRPG set in a radically inclusive, magical 1950s. Players build their own incredible town, populate it with gangs and hangouts, then investigate the murder of their best friend in a collaborative, collective storytelling system designed to place narrative and relationships front and center. Check out Americana on Kickstarter, or try it out for yourself with our quickstart rules. Want more from the world of Americana? Check out our audio drama, Tom’s Dead, or read some tales from the world of Americana.